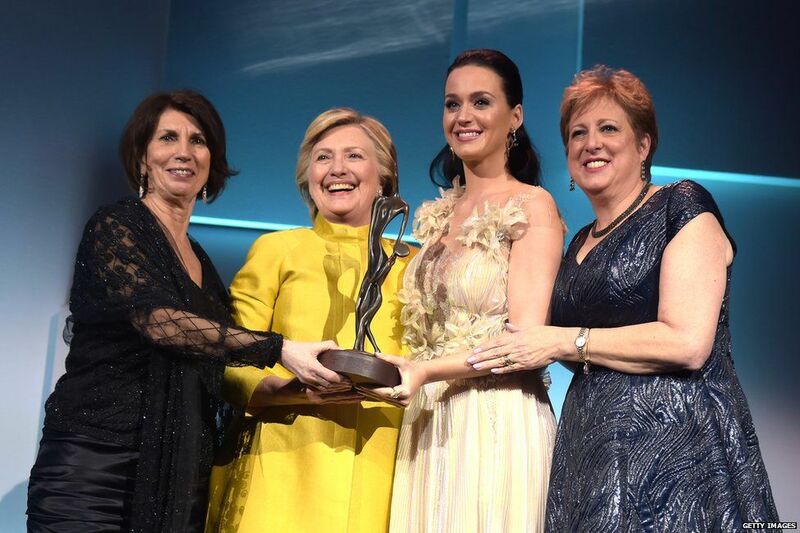 Katy Perry's been given a humanitarian award by the woman she supported during the US presidential campaign - Hillary Clinton. The politician, who was defeated by Donald Trump, got a standing ovation as she walked onstage in New York. Unicef's Audrey Hepburn Humanitarian Award was handed to the singer in recognition of her work with vulnerable children and as a goodwill ambassador. 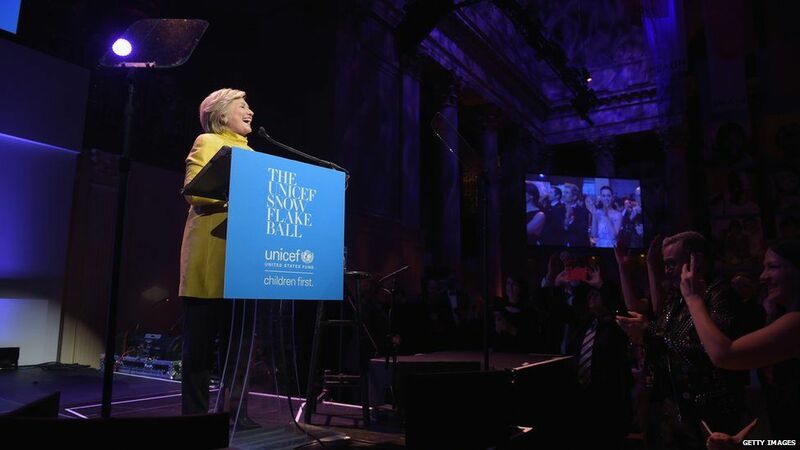 Hillary's appearance at the Snowflake Ball was a surprise to most people. She has only made one other public appearance since conceding the election. On stage, she described Katy Perry as someone who has "the spirit and the energy and the compassion that Audrey Hepburn brought to her work from Unicef". She also said that the 32-year-old had the most Twitter followers, then jokingly added that she "might have some competition" - an apparent reference to president-elect Donald Trump's constant tweeting. Clinton also said the star's lyrics "remind us when you get knocked down to get back up", which led to more cheers in the audience. Katy Perry was a major supporter of the Democrat, who won the popular vote in America, and campaigned for her. 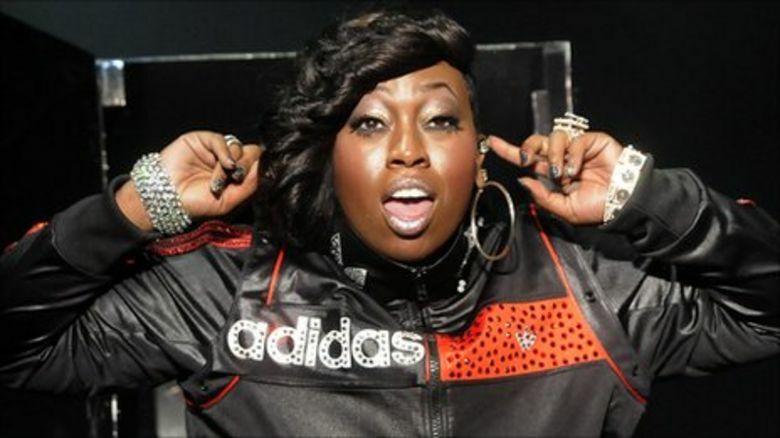 She's also been involved with activism around breast cancer and HIV awareness. She cried when Hillary Clinton made the surprise appearance. In her acceptance speech, Katy Perry credited the US politician with helping her use her voice for more than just music. "Hillary has lit that voice inside of me, and that light will never go out," she shouted. "It will get brighter and brighter and brighter. Thank you, Hillary. "You motivate me and so many millions of people who appreciate you for your incredible work," she said after the crowd gave Hillary Clinton another ovation. Katy Perry joined Unicef in 2013 to help children in Madagascar with education and nutrition and became its goodwill ambassador later that year. Part of the money from her Prismatic World Tour in 2014 was donated to the UN charity. Previous winners of the Audrey Hepburn Humanitarian Award include celebrities like Jane Seymour, Danny Glover and Sir Roger Moore - who received the first one in 2004 - as well as the team which dealt with the aftermath of the Haiti earthquake in 2010.